I am so happy to finish this small Christmas quilt. I decided to practice some more free motion quilting. I did some continuos line quilting in the red squares, stippling in the gold fabric, random swirls in the outer border and pebbles and swirls in the red border. 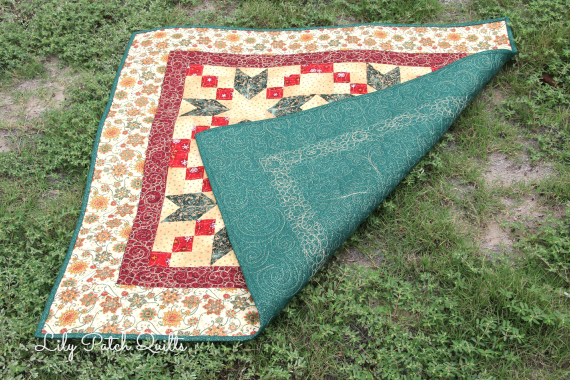 I did do some quilting in the green print like a flour de lis. The view of the back. I used gold Glide thread throughout. Your quilt turned out great! 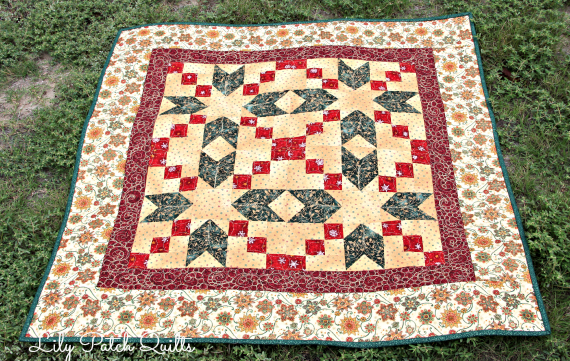 Such a beautiful Christmas quilt...love the colors and quilting!